Keeping Lithium-ion batteries charged is important to maintain their maximum usable capacity. Most cell phones, tablets, laptops and portable music players in use today use Lithium-ion batteries. Lithium-ion, or Li-ion, batteries are popular for their high energy density with no memory effect. These batteries will last longest if the battery is kept charged; allowing them to become fully discharged will quickly lower their maximum capacity. Thus, a battery charger is an essential component of modern portable electronics. A typical charger charges a battery up to 85% of its maximum capacity in under an hour. The remainder of the multi-hour recommended charging time is used to trickle-charge the battery up to 100% capacity. In order to do this, the charger must be a ‘smart’ charger capable of sensing the battery's condition and responding accordingly. A smart charger can be designed for use with a smart battery pack, which has internal circuitry capable of sensing the battery's charge state and transmitting it to the charger. In order to store Li-ion batteries for an extended time they should be charged to 40% of maximum capacity and stored in a cool place. To extend their life even further, batteries can be stored in a refrigerator but should never be frozen. Lithium-ion batteries are even used in power tools and electric vehicles. Electric wheelchairs, pedelec pedal/electric bicycles and remote-controlled vehicles all benefit from the light weight and high performance of Lithium-ion batteries. Obtaining battery chargers from an experienced supplier such as GlobTek will ensure the safety and long-term reliability of your devices. GlobTek battery chargers implement multiple redundant safety features to prevent failure and damage to batteries and systems while mitigating risk and lengthening battery life. GlobTek chargers are matched with battery packs and communicate using SMBus communication protocol. 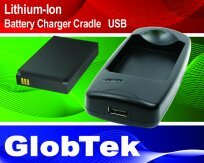 GlobTek chargers and battery packs can be built in single or multiple configurations; the battery pack and charger can even be integrated into a single package. 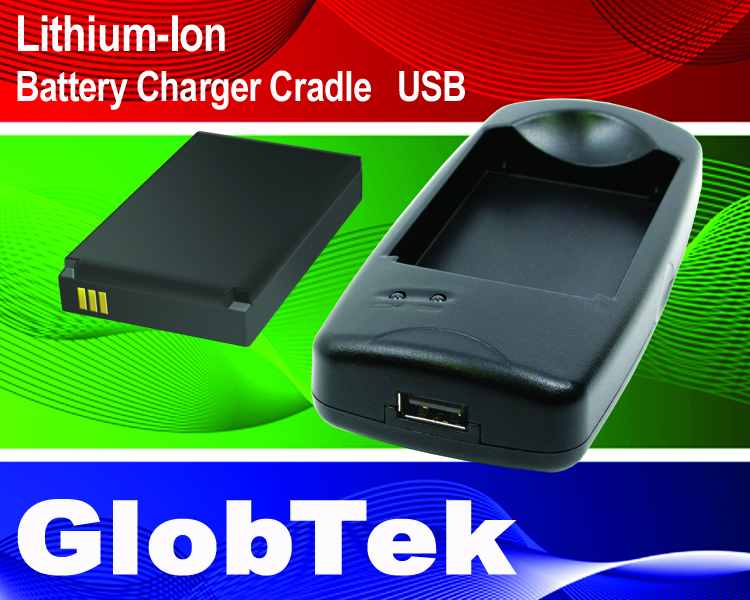 Visit GlobTek battery chargers for more information. 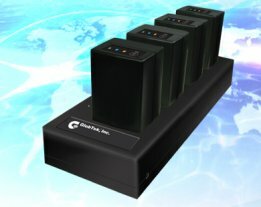 In response to increased concern and requirements of portable equipment and device manufacturers for safety related to Lithium Ion (Li-Ion) batteries, GlobTek’s latest generation battery charger designs include numerous redundant safety features which when communicating with electronics in Lithium (Li-Ion) batteries prevents failure or damage of the battery pack during charging. Aside from safety, the charger includes many features to maintain and lengthen battery life. GlobTek is a power systems solutions provider with design and manufacturing facilities in the USA and China and sales offices in Germany, France, and the UK. Offering a line of power supplies for applications from gym equipment to medical systems, GlobTek can also develop and create custom power solutions for just about any application. GlobTek is located at 186 Veterans Drive, Northvale NJ 07647. For more information call 201-784-1000 or visit GlobTek online at www.globtek.com. 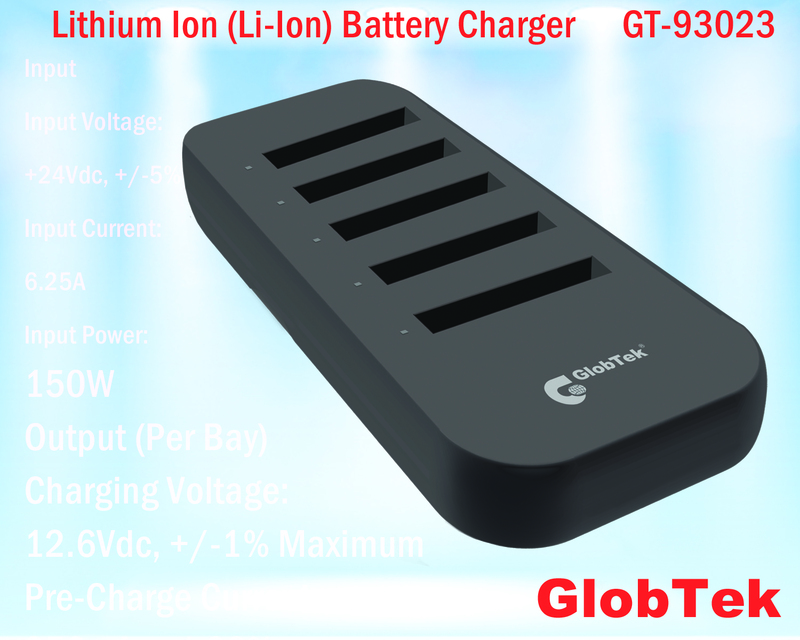 Available in versions delivering 4.2V, 8.4V, or 12.6V at 1 A to address single- or multiple-battery configurations, the GTM91128 families of smart Li-Ion battery chargers from GlobTek offer three charging methods: conditioning, constant current, and constant voltage. The universal-input devices have a minimum current charge termination technique with timer as back up, with LED indication of charging and fully charged states. 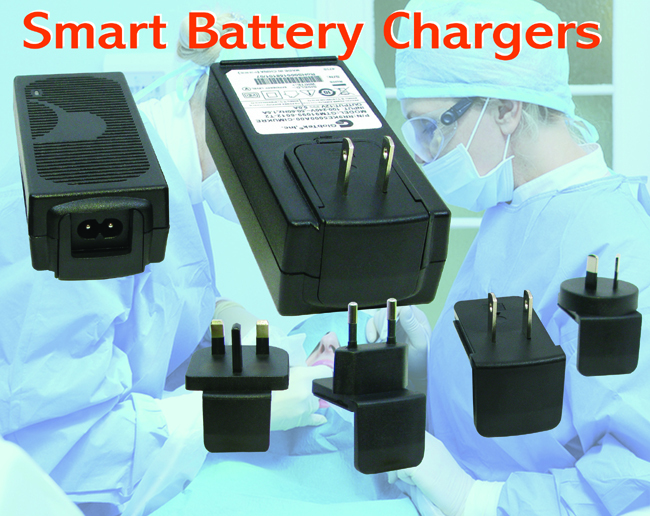 An additional feature of the smart battery charger family is that they have user-interchangeable plugs for seamless international operation. Additional features of the GTM91128 battery charger family include built-in over charge and damaged-cell detection, with a battery over-temperature protection option also available. A custom battery cradle can also be designed for specific battery form factor, if desired. All appropriate safety and EMC approvals are done and available.